The information contained below was shared with me by Cherise Stockley and paraphrased for length and brevity. 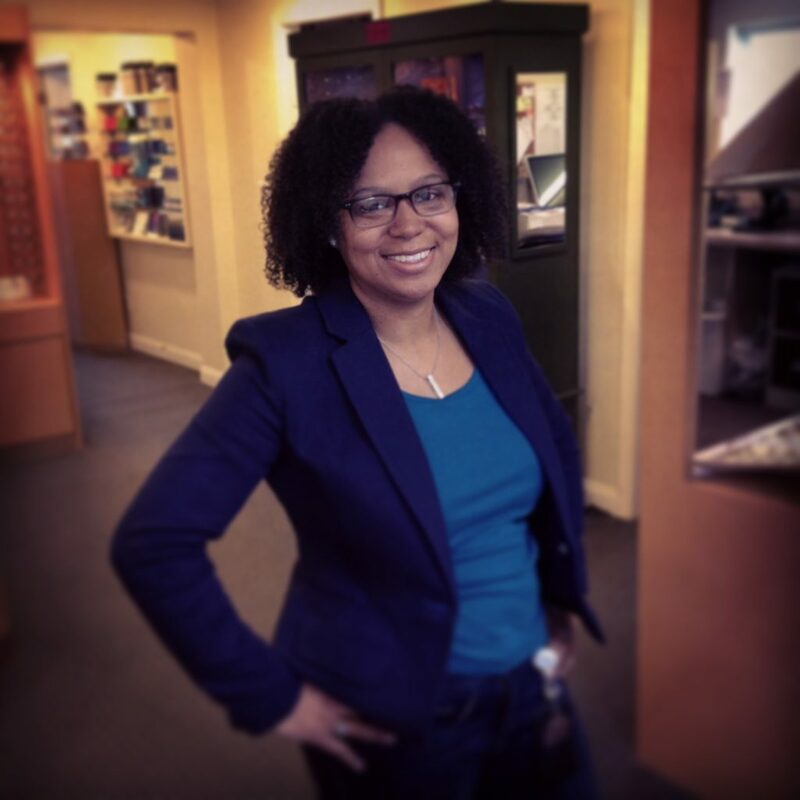 Cherise Shockley is an OG within the online diabetes community. When I began Just a Little Suga’ a year and half ago, she was one of the first black women with diabetes to reach out to me. She invited me to participate in her #DSMA (Diabetes Social Media Advocacy) chats, exposing me to the puzzling world of twitter 😉 and other diabetics within that space. At 23, Cherise received a diagnosis of Type 1.5—her pancreas worked like a Type 2’s, but her antibodies read as a Type 1’s. She learned that eventually her pancreas would stop working. At diagnosis, Cherise cried alone in the doctor’s office, unsure if her tears stemmed from her new prognosis or the fact that she received this news without her husband (then stationed in Iraq) by her side. By the end of her visit she returned home with a meter and oral medication. A month later, she found out she was pregnant! For many women, preparing for the arrival of their first-born is an exciting, yet nerve-racking process. For Cherise, her stress was further compounded as she adjusted to this new normal, life with diabetes. Anytime she peaked over 300, Cherise feared she was harming her child. In reflecting on her pregnancy, she admits it was the most emotional part of her diabetes journey. With oral medication, Cherise found management difficult, and felt great pressure to stick to a regimented diet. Frustrated and concerned that she could not get her numbers under control, she made the choice to begin taking insulin, preserve her beta cells, and increase her chances of a healthy pregnancy. During this time, she also relearned what it meant to live with diabetes. Always mindful of her consumption, she now entered the world of counting carbs. 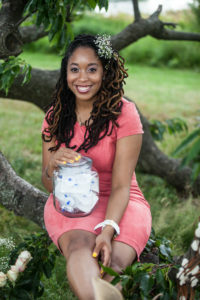 As Cherise navigated this new layer of diabetes, she also entered the diabetes blogging space, where she contributed to various sites, and ultimately established her presence on Twitter through #DSMA, a chat that allows diabetics to support, connect and share resources with each other. When reflecting on what motivated this decision, Cherise pinpoints her desire to build community and show others that they are not alone. Heeding the example of her mother, a healthcare professional, and the conviction of God, Cherise also started DSMA live, a radio show in which she spotlighted diabetics across the country on a weekly basis. As much as she’s engaged in this diabetes community, Cherise makes it clear that this disease is just a small part of her. She makes a conscious choice not to hate her diabetes, for that would mean hating herself. “Cherise loves Cherise” and she also loves the many labels outside of “diabetic” that make up her identity. She is a mother, wife, “everyone’s best friend” and an avid fan of social media. Cherise is motivated both by community and the desire to live well. She stated, that if she were to end up with complications of any sort, at the very least, she’d be reassured by the fact that she did everything in her power to prevent them. She draws inspiration from the online diabetes community, and is quick to commend others for being active in it. Her hope is that every diabetic she encounters feels as though they are part of this online network. As we all know, diabetes burnout is real, and no matter how gung-ho we are about our regimens of care, it hits us at some point or another. To counter this unfortunate reality, Cherise always begins by acknowledging and accepting that burnout is what’s happening. When it does, she gives herself a mental break, mindful to continue checking and treating her blood sugars, but not driving herself into a frenzied panic when things go awry. Overall, she’s realized not to be so hard on herself. Additionally, aware of how the practice of number sharing (dexcom graphs, A1Cs) can be a motivation-killer for other diabetics, Cherise doesn’t engage in those habits. Instead, she remains mindful that social media is curated—often a display of our best selves and days. Cherise notes that many doctors aren’t as familiar with LADA as they should be. In her experience, those who are older or who have not pursued further education are unaware of this form of diabetes. Rather than pushing for more labs, they are failing to diagnose people properly. They mistakenly assume that many with LADA are actually Type 2, an occurrence that often happens with diabetics of color. As she states, just because someone looks like they should have type 2 diabetes, doesn’t always mean they do. This was great! Shout out to Cherise for being one of our MVPs!